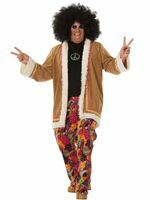 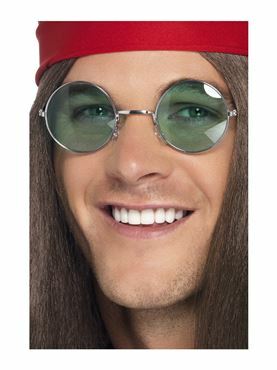 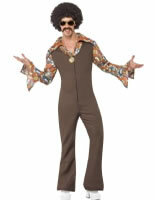 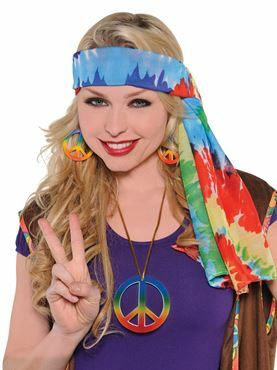 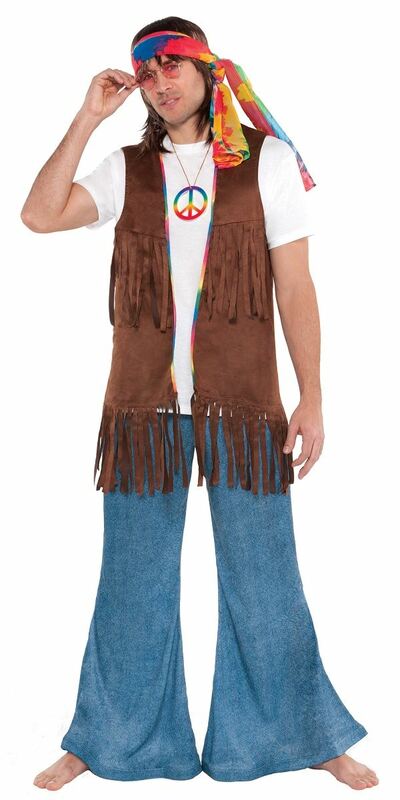 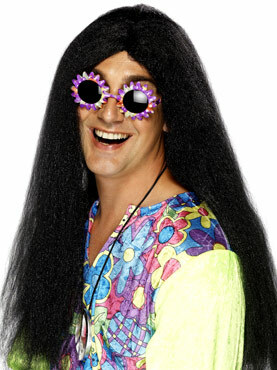 Get your Groove on and Celebrate the Swinging 60s in our Adult Male Long Hippie Vest! 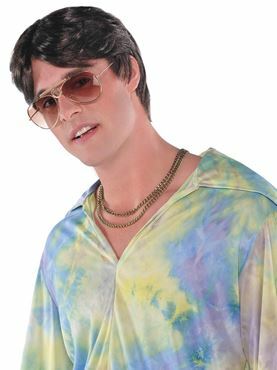 The Sleeveless Faux Suede Vest features the Bright Multicoloured Psychedelic Trim with Fringing along the Bottom also also on Either Side of the Chest. 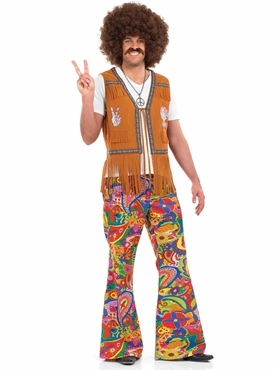 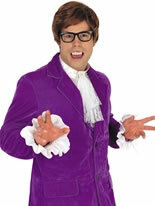 Please note that this is the Vest only - the Top, Trousers and Accessories are not included. 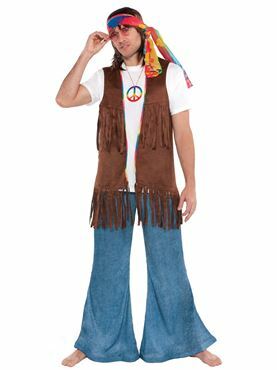 One Size 38" - 42" 32" - 36" 31"